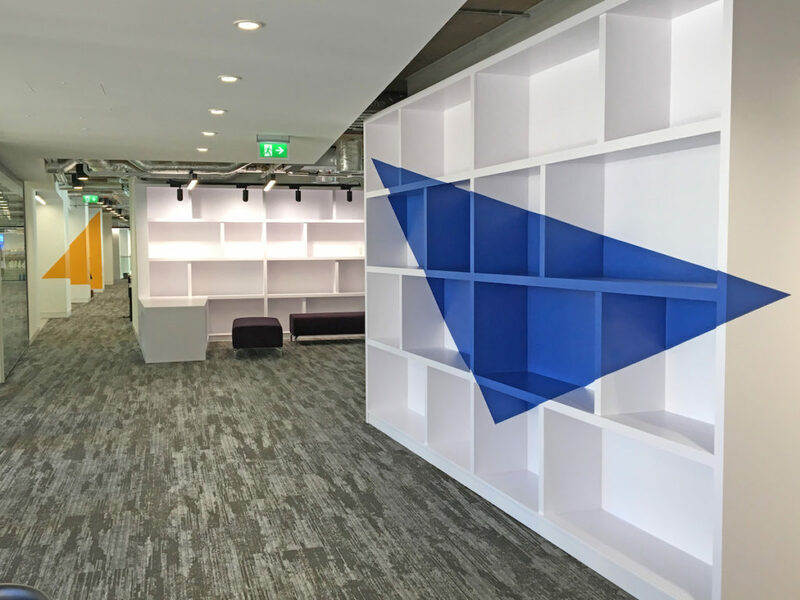 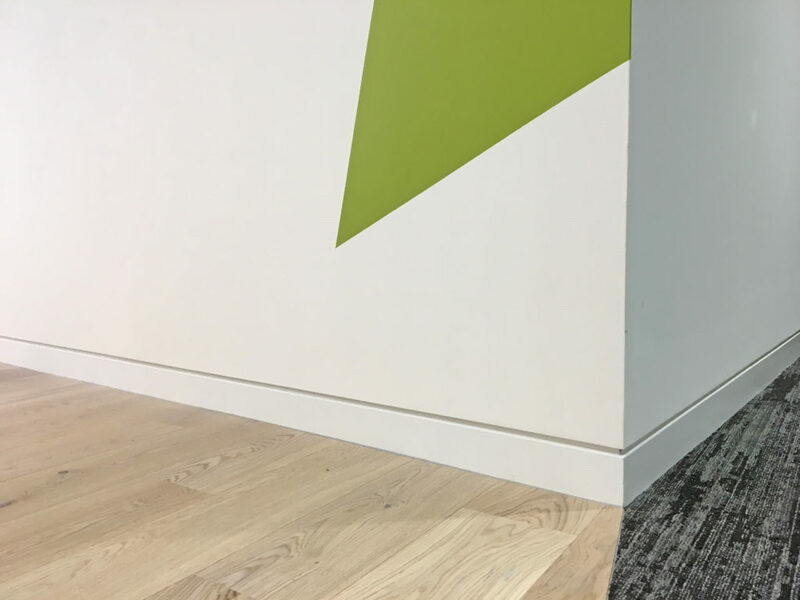 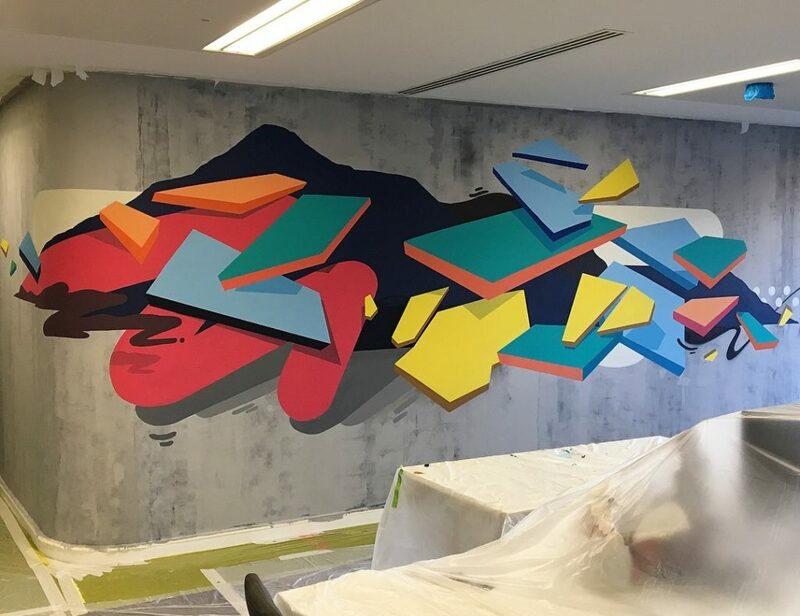 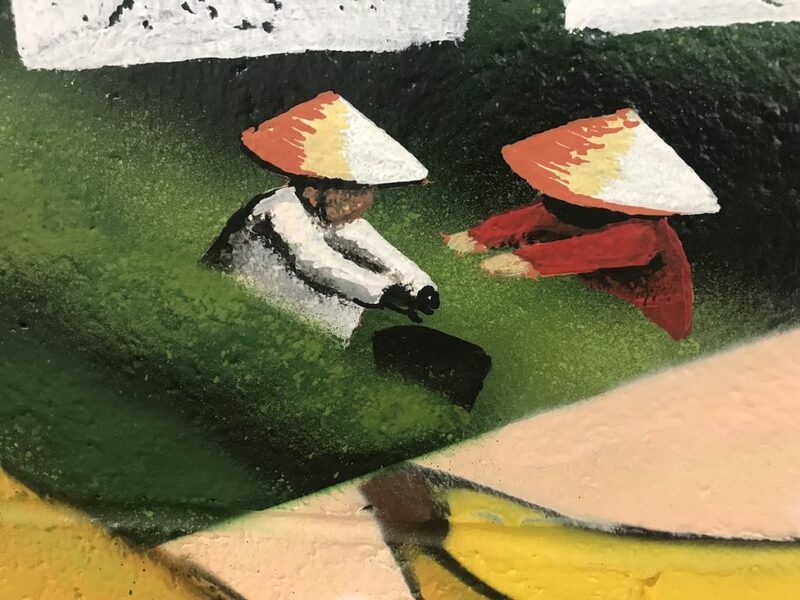 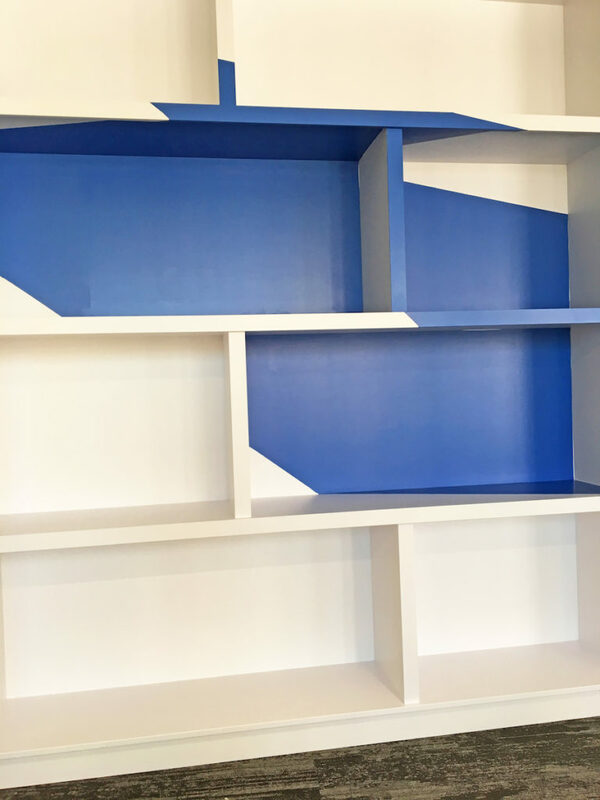 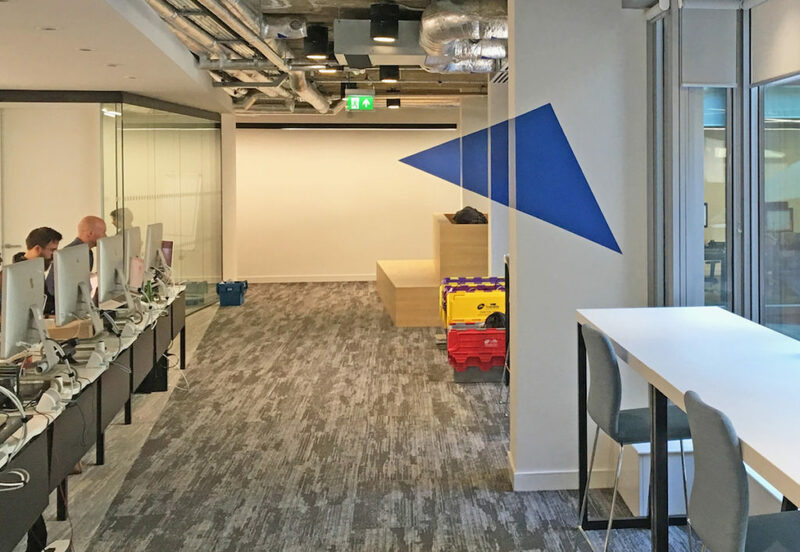 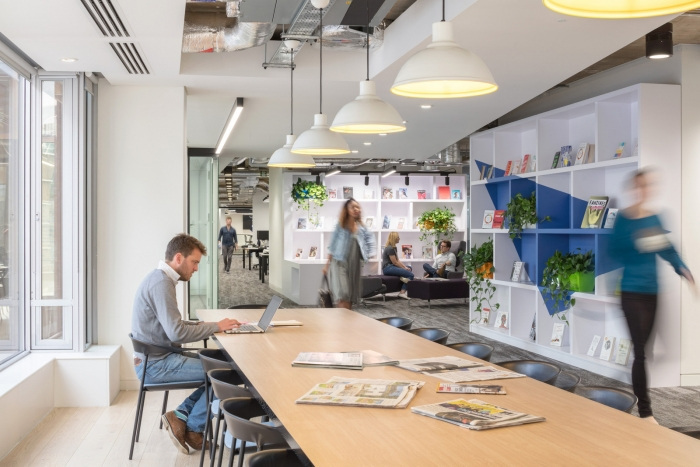 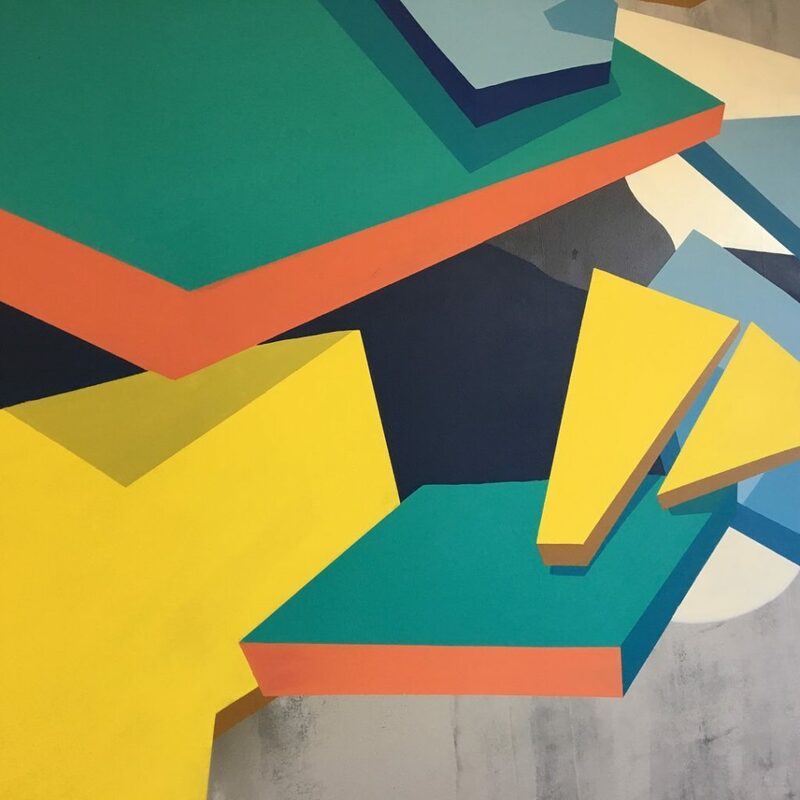 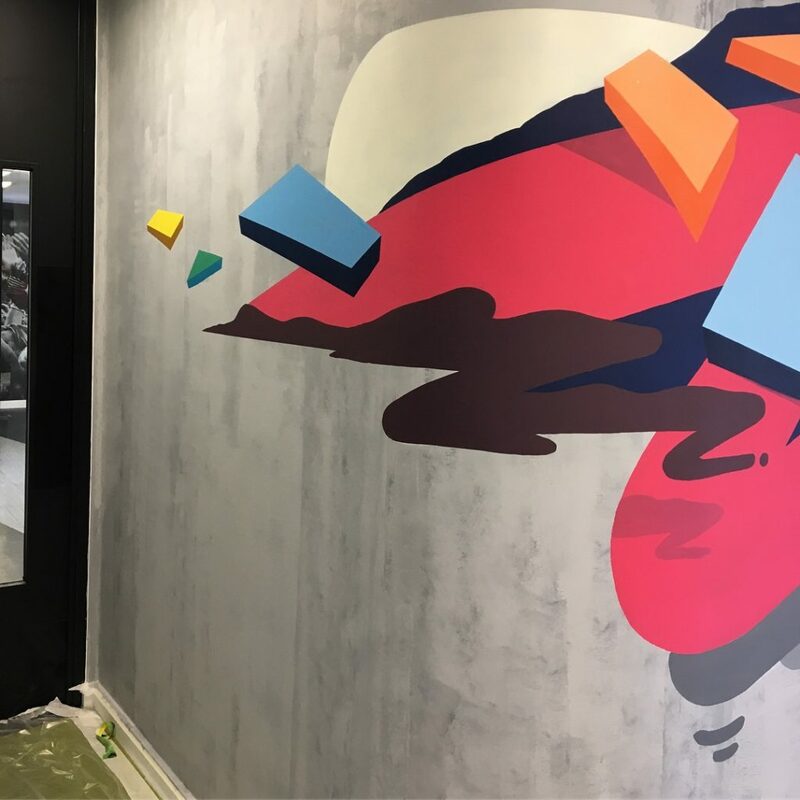 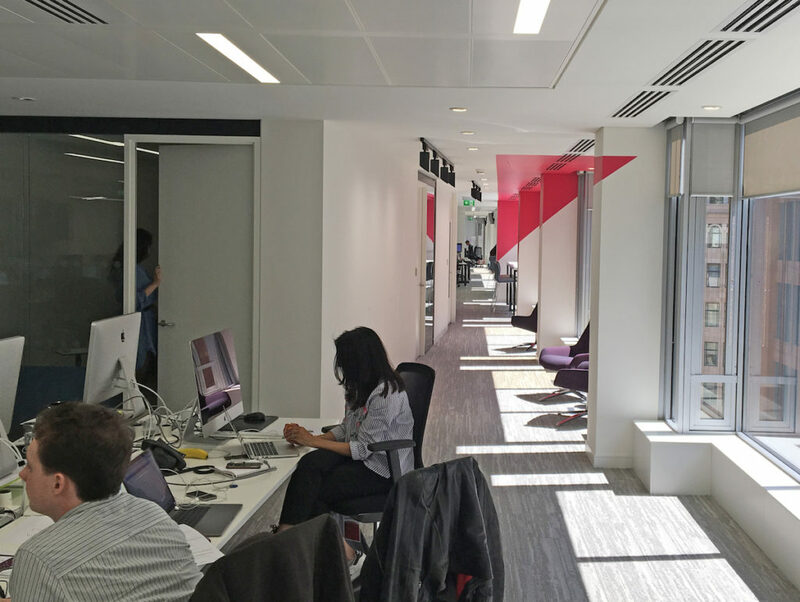 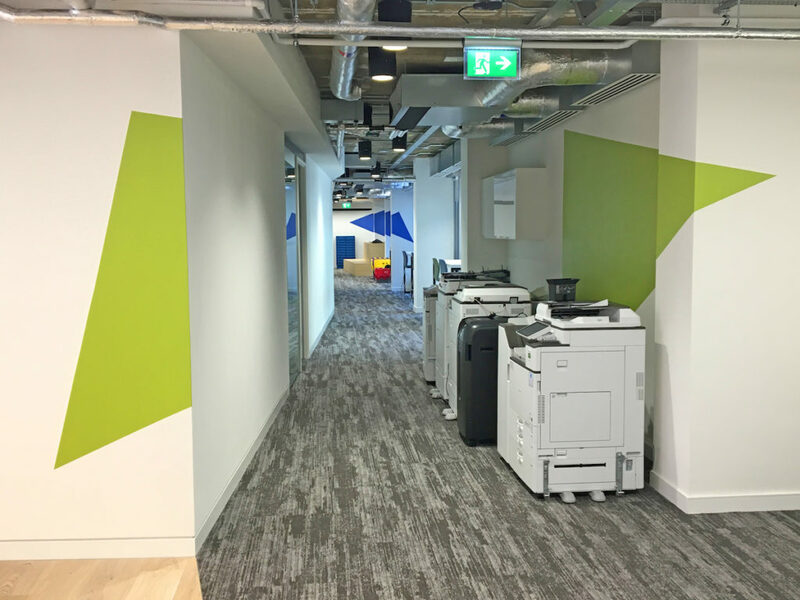 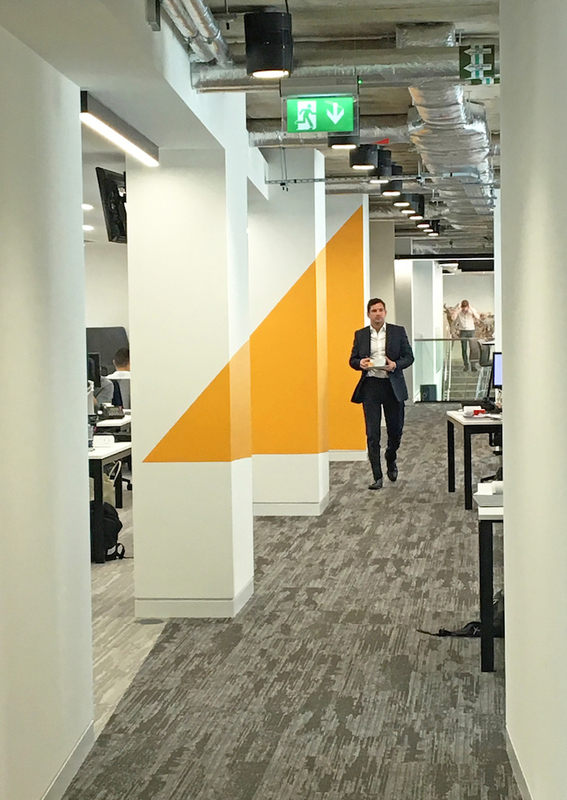 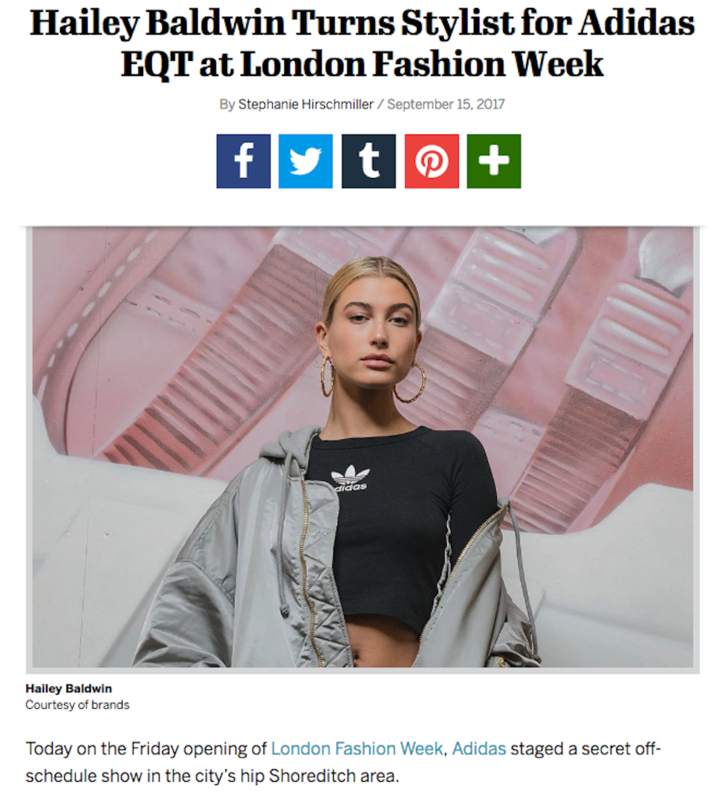 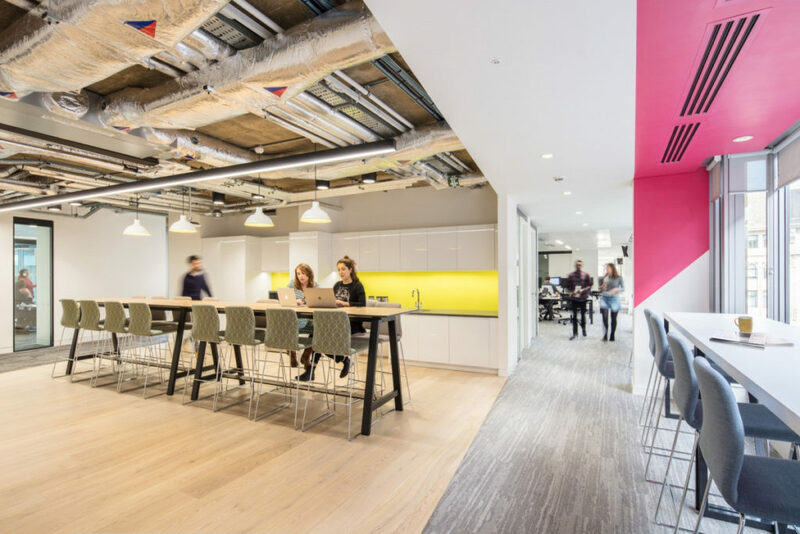 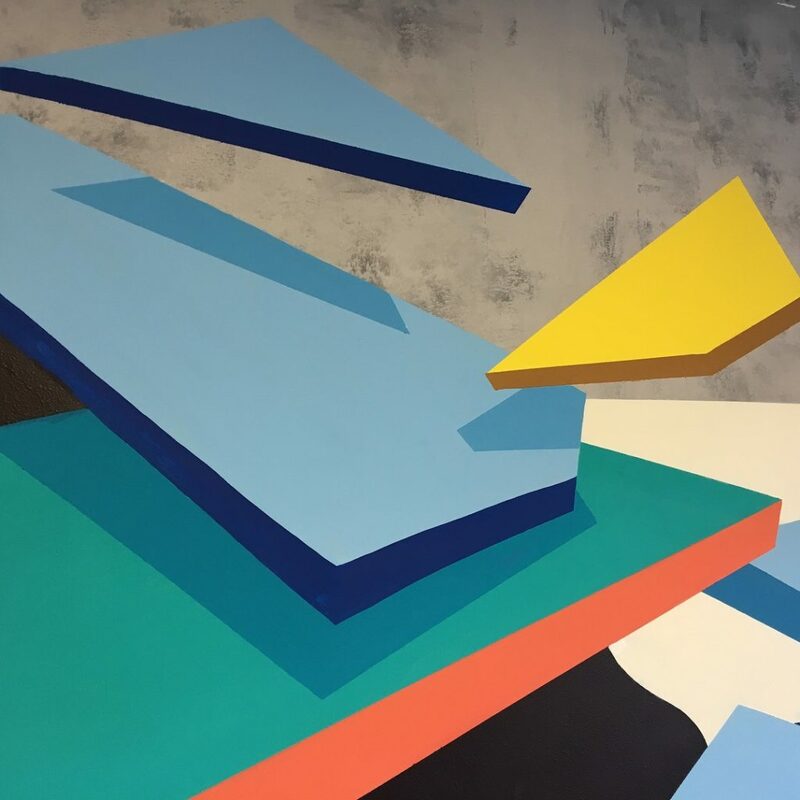 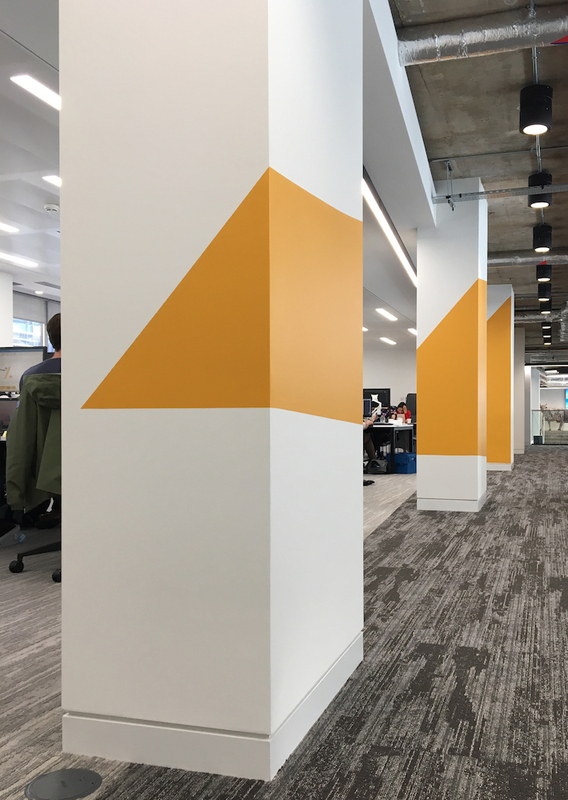 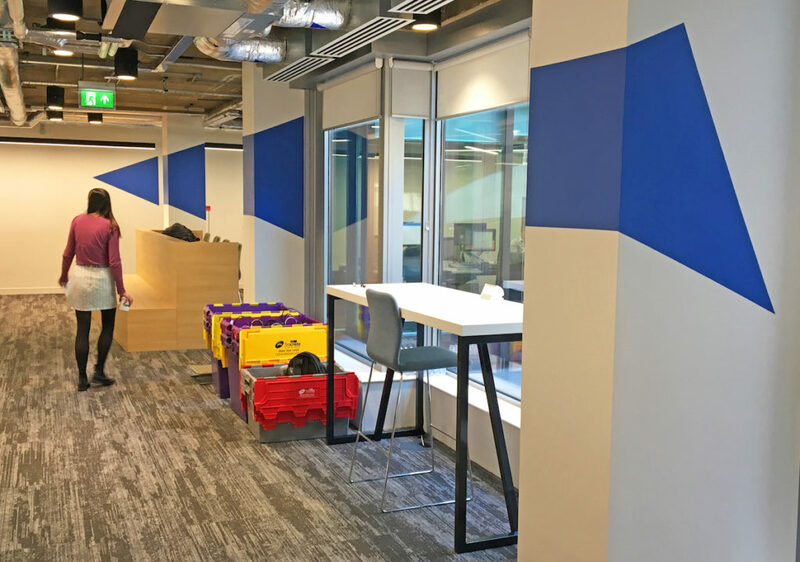 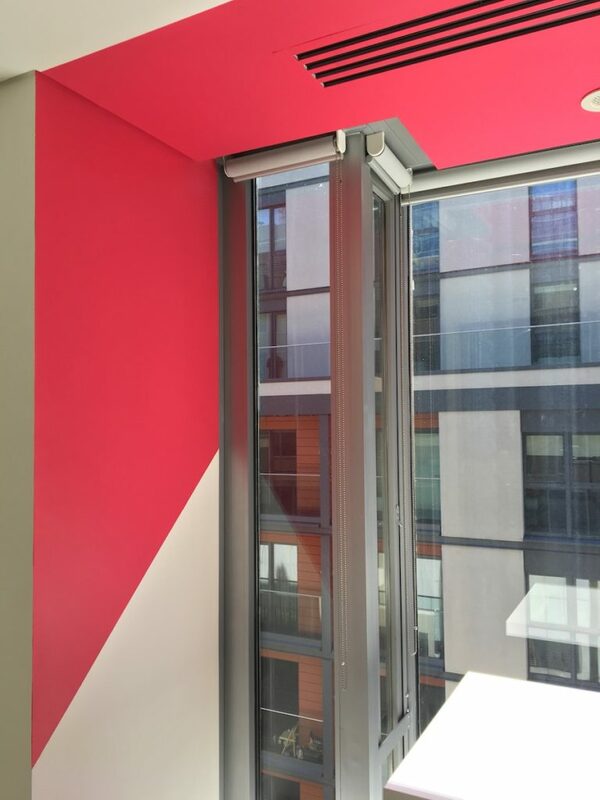 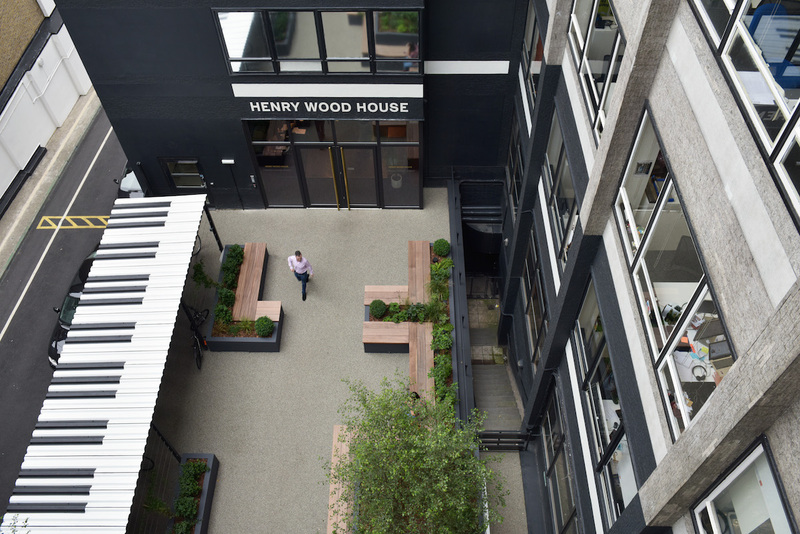 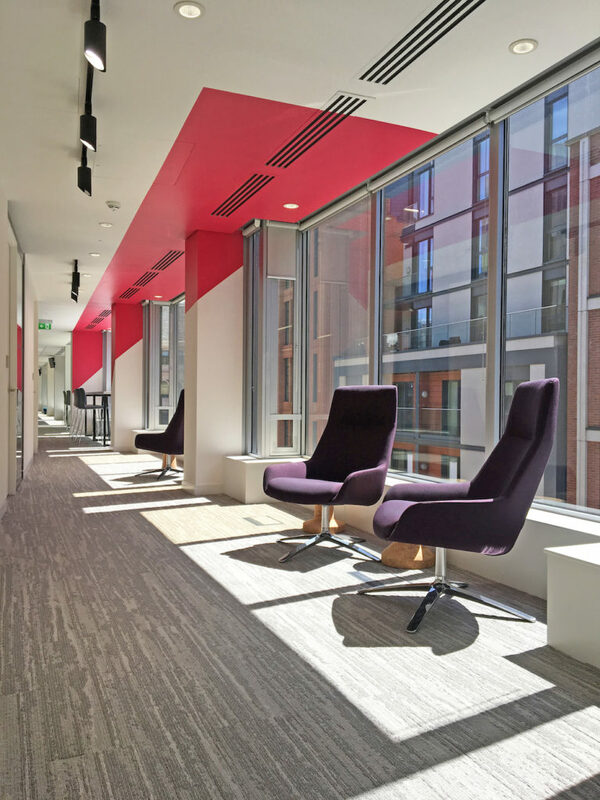 Anysurface were approached by the creative team at Edelman to paint a set of Anamorphic Triangles to 5 areas across the newly refurbished 4th floor in central London. 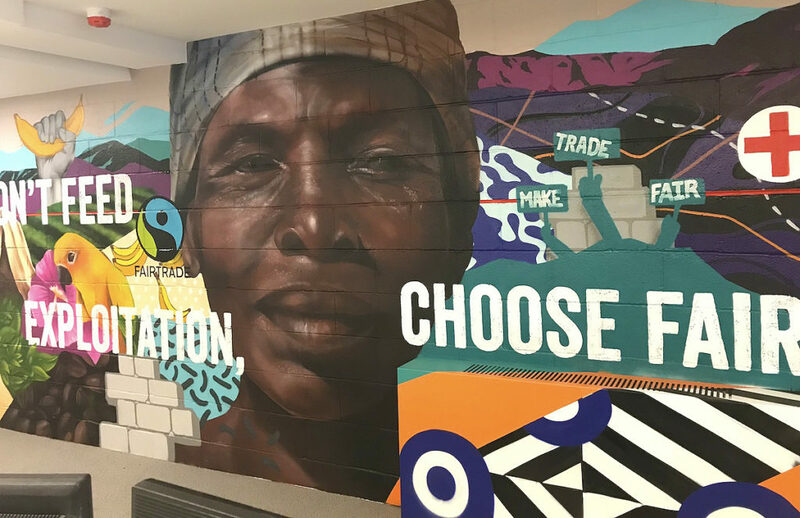 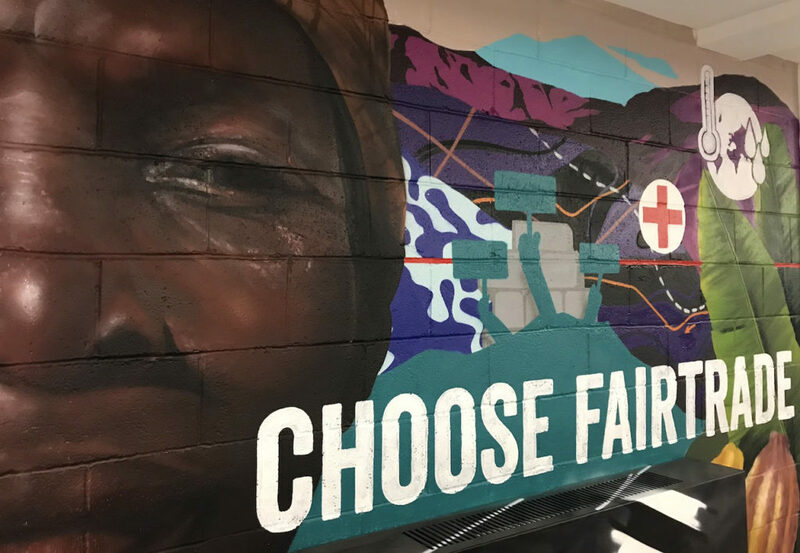 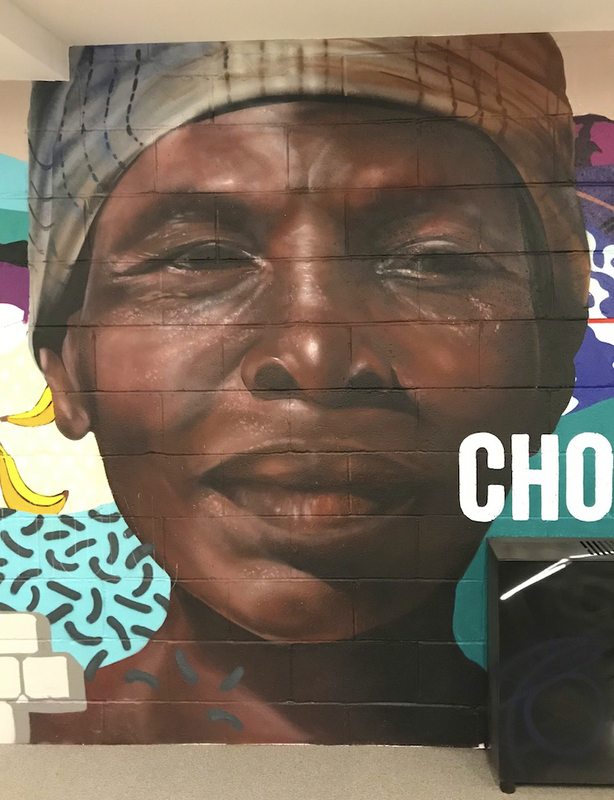 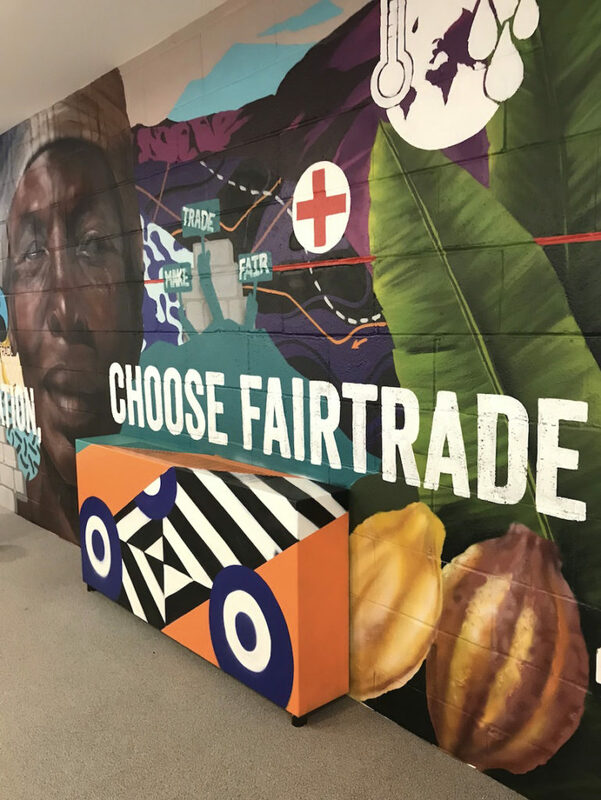 Working alongside Rarekind agency, it was a pleasure to design and paint a piece of artwork for the Fairtrade new office space in London. 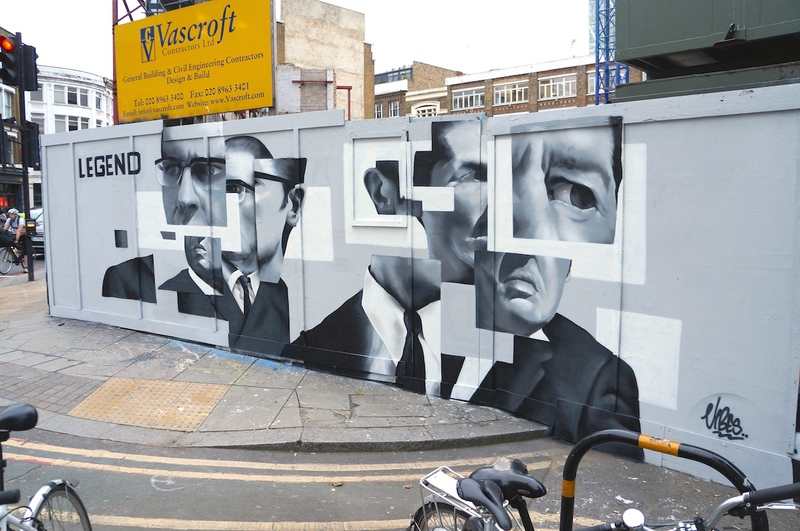 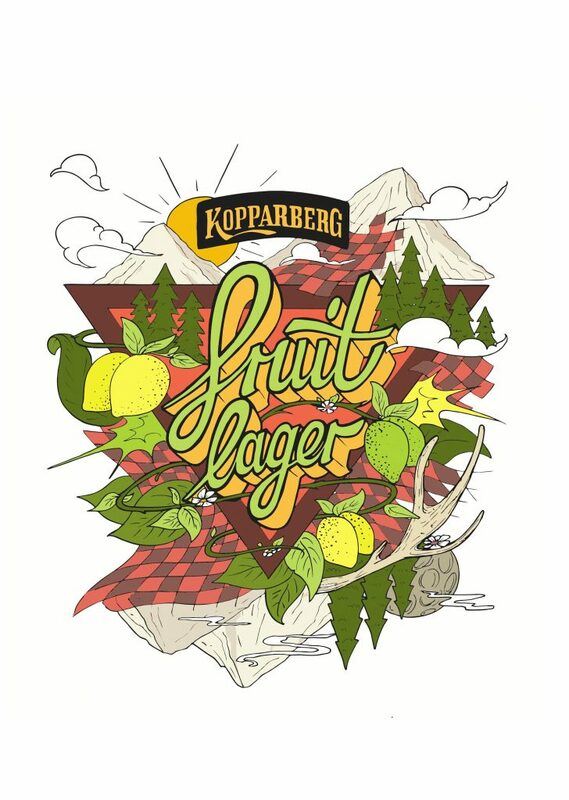 Commissioned by Kopparberg to design an anamorphic piece of artwork, to be then painted live as a one day pop-up at the Boxpark, London. 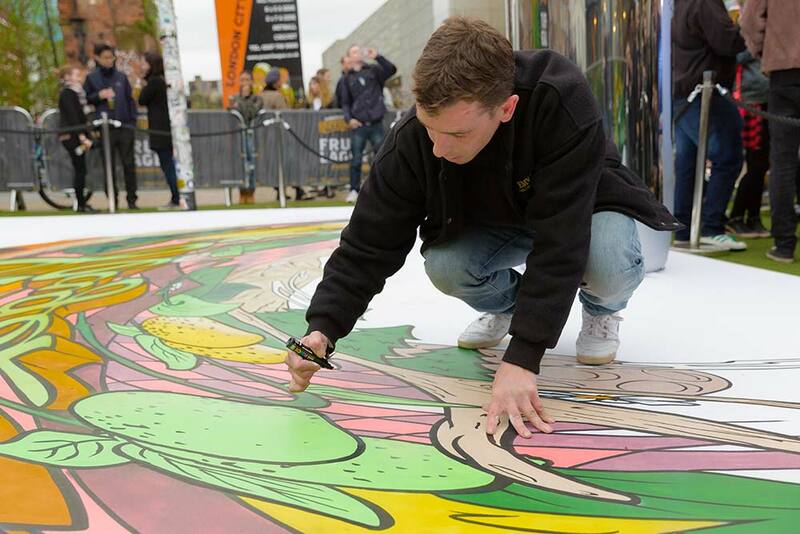 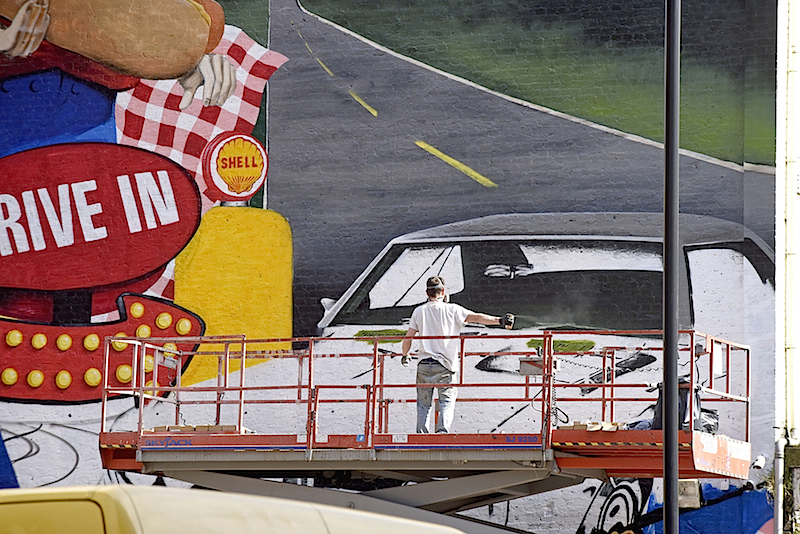 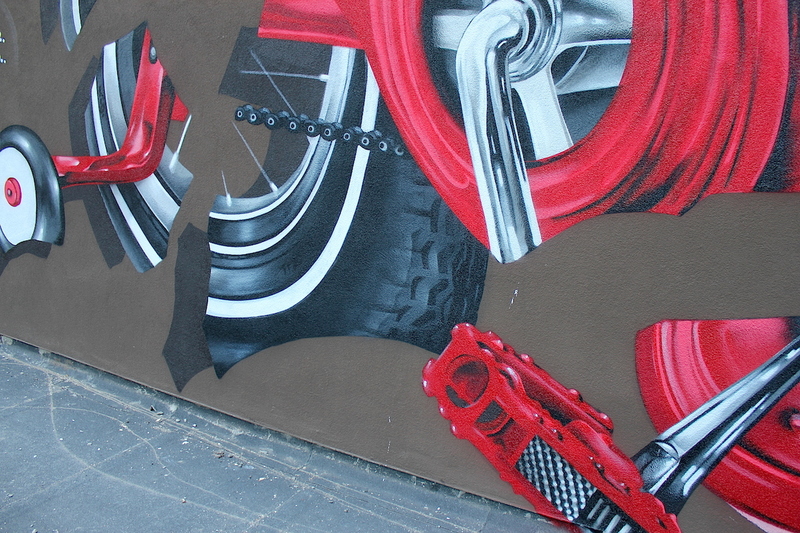 When painted the artwork would then reflect onto a three-metre tall-mirrored bottle creating a 3D illusion. 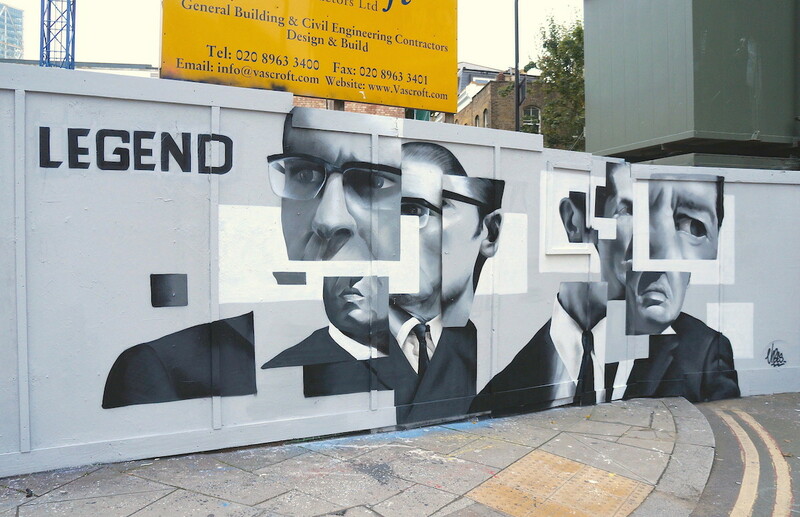 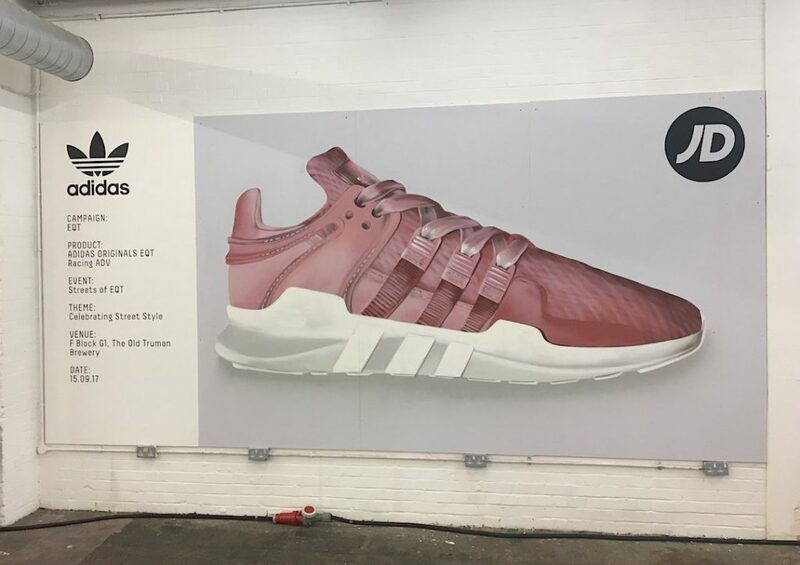 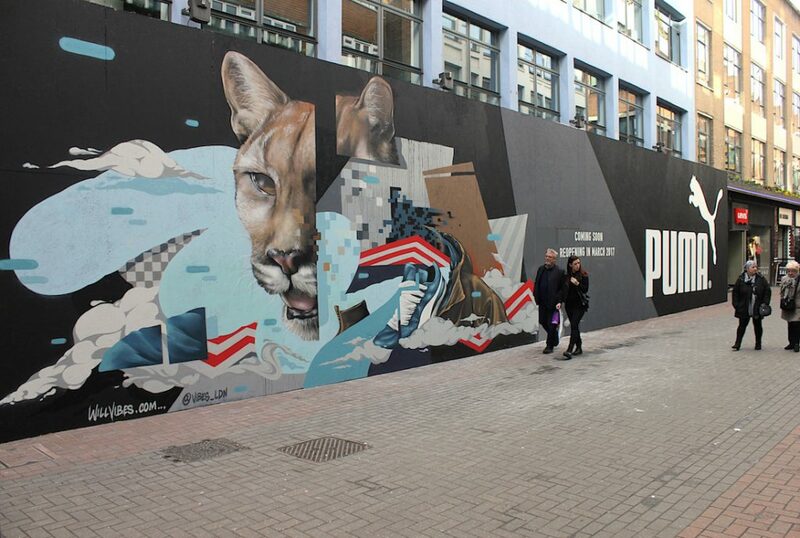 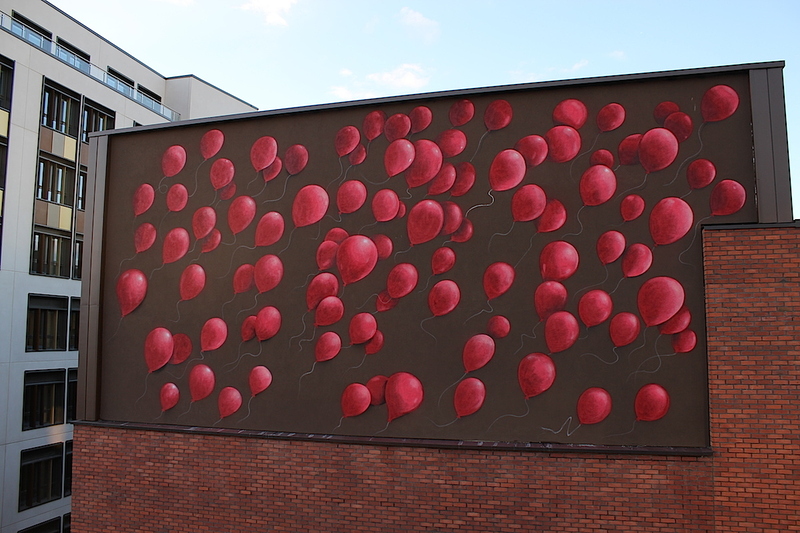 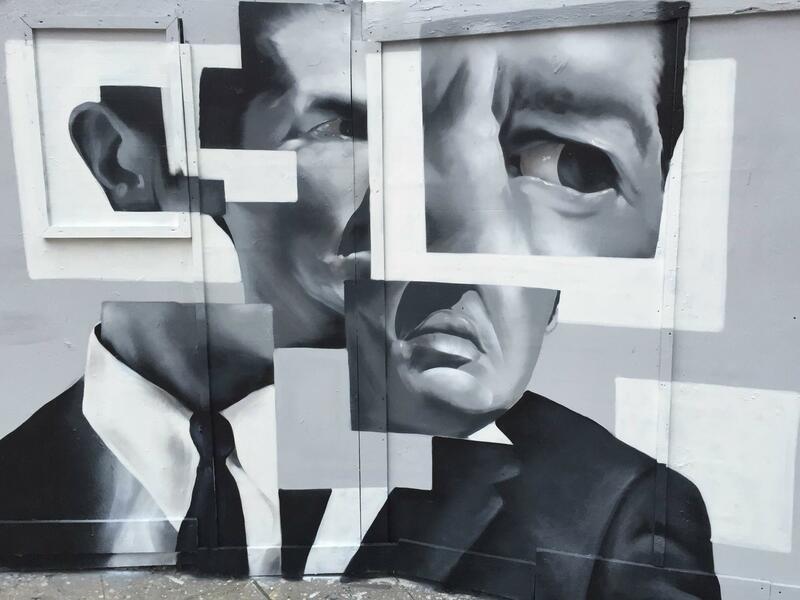 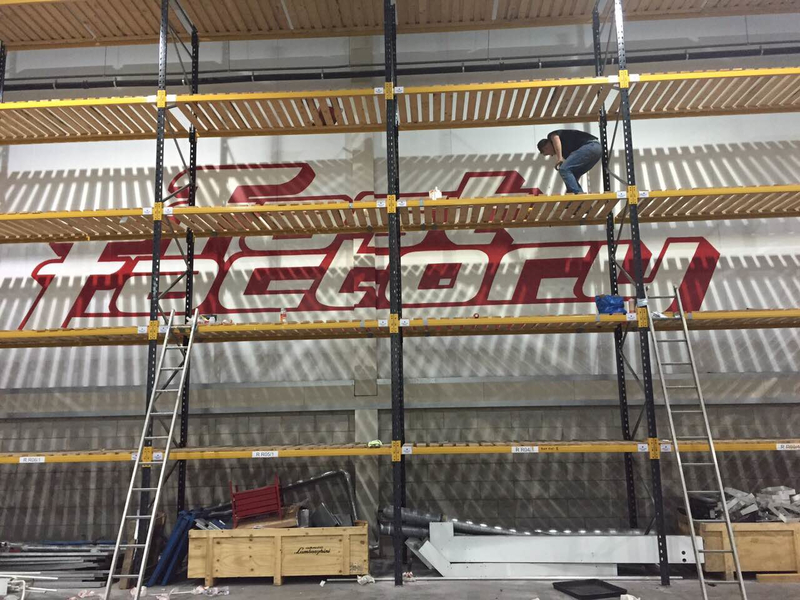 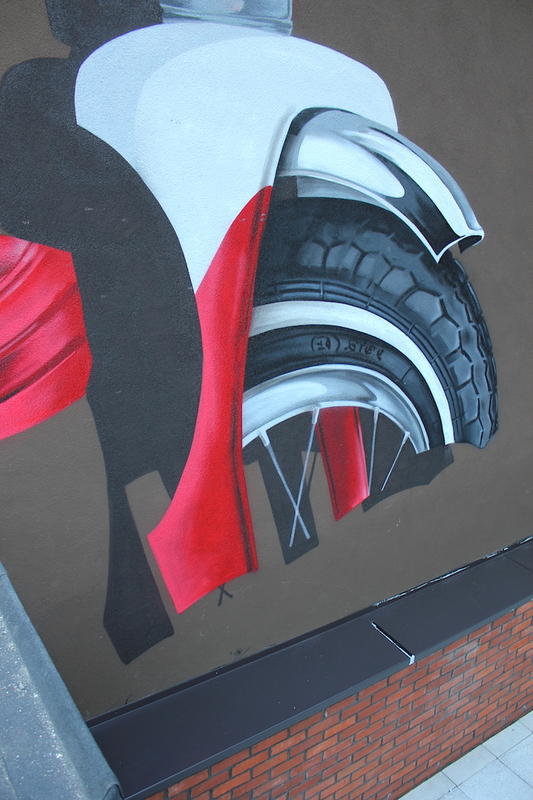 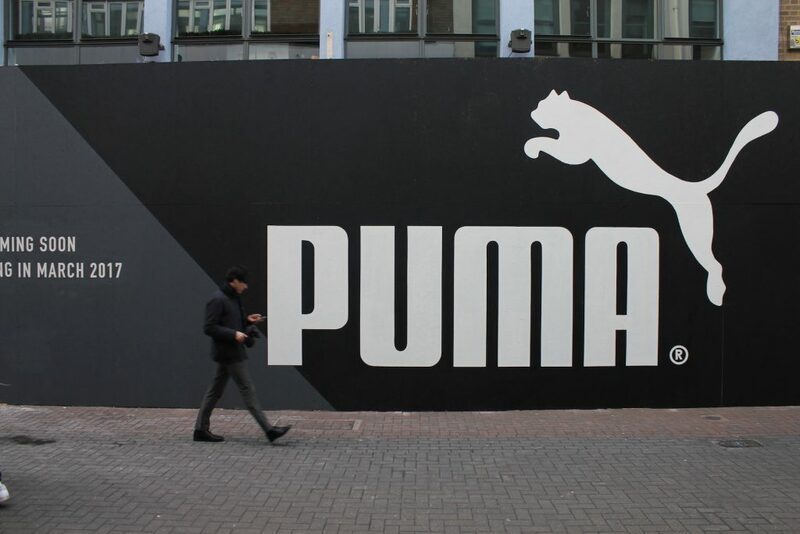 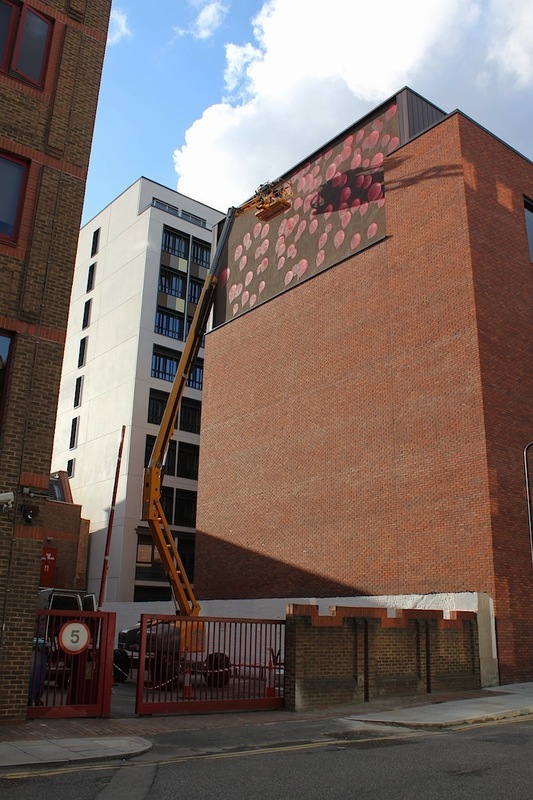 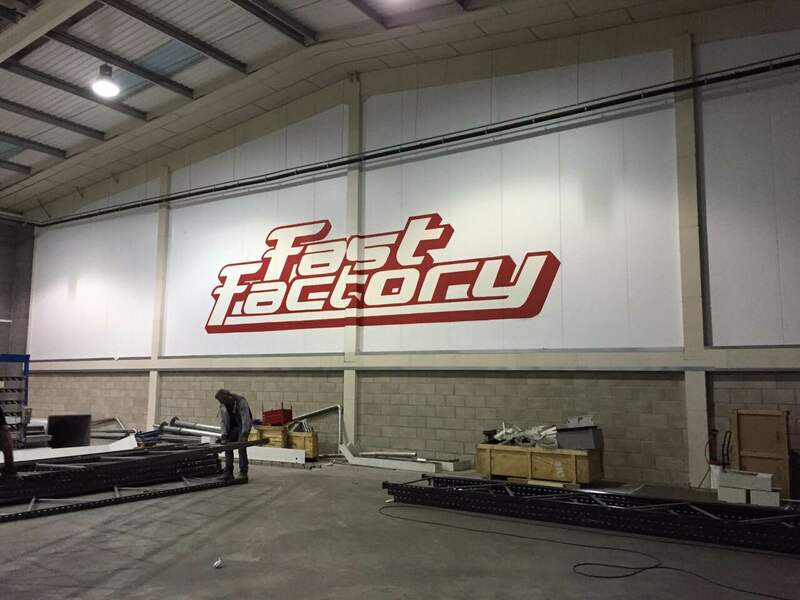 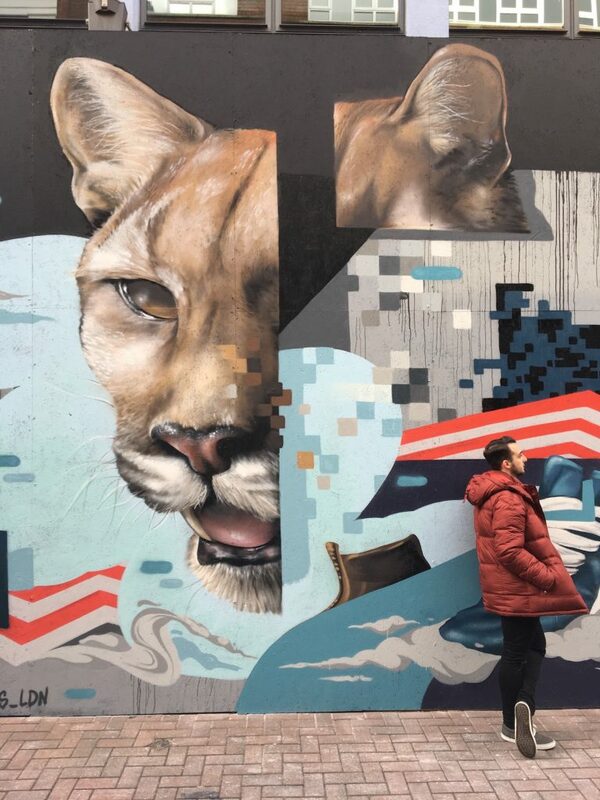 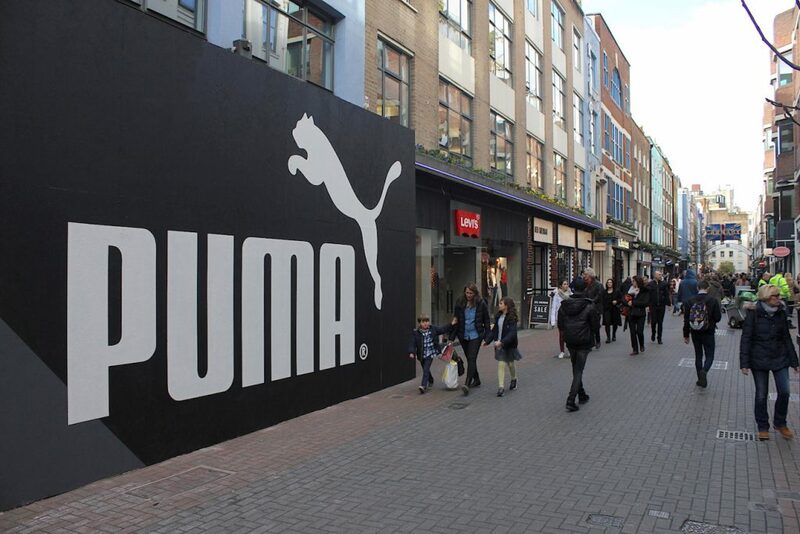 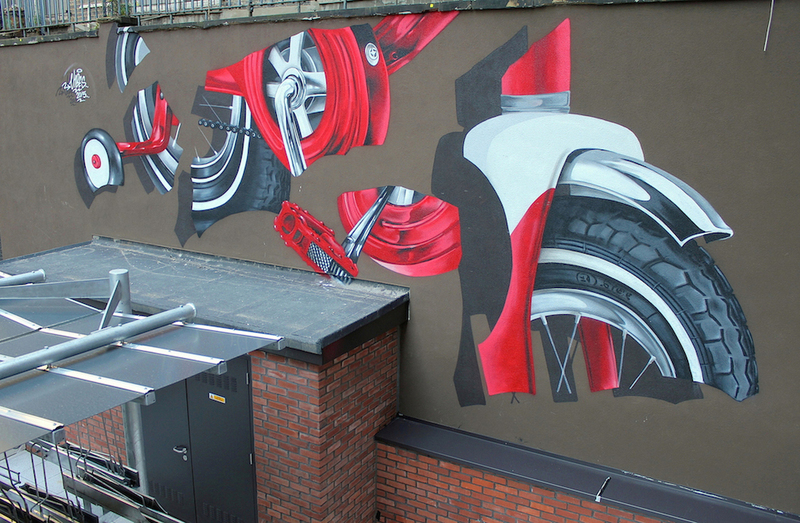 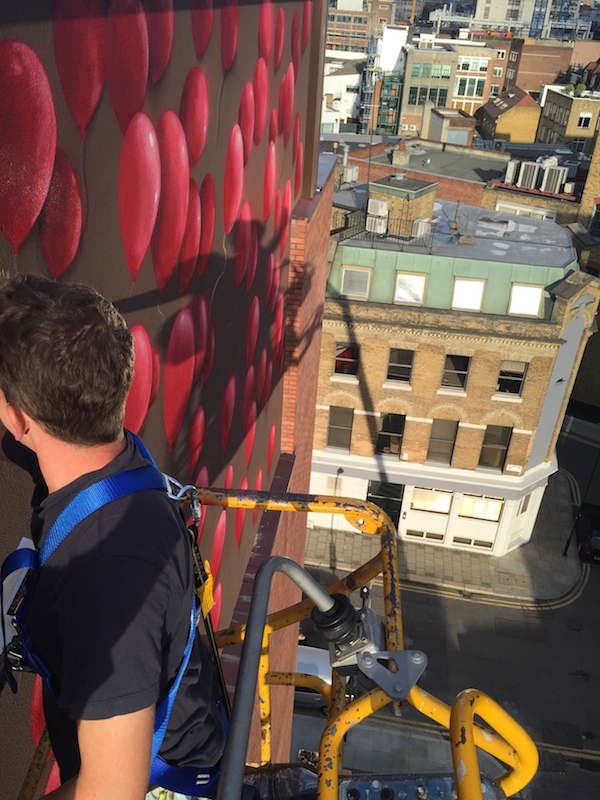 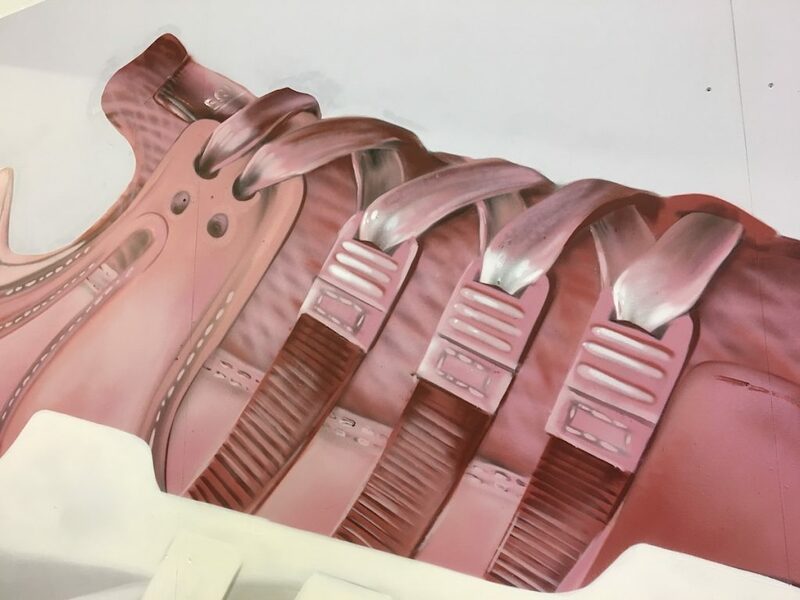 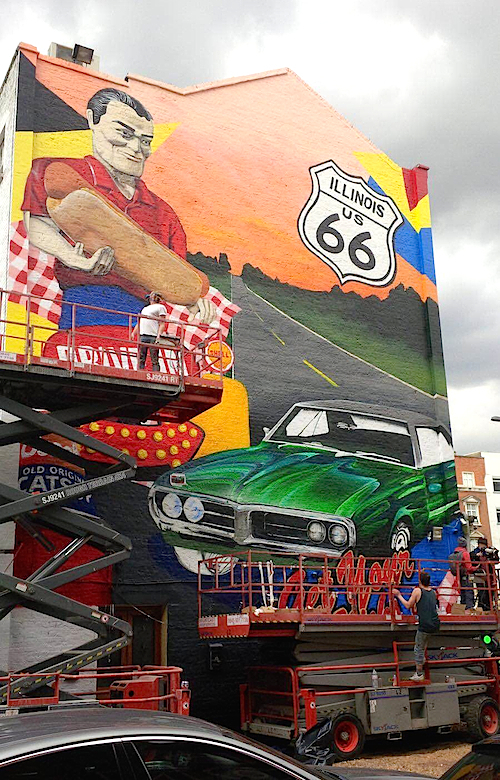 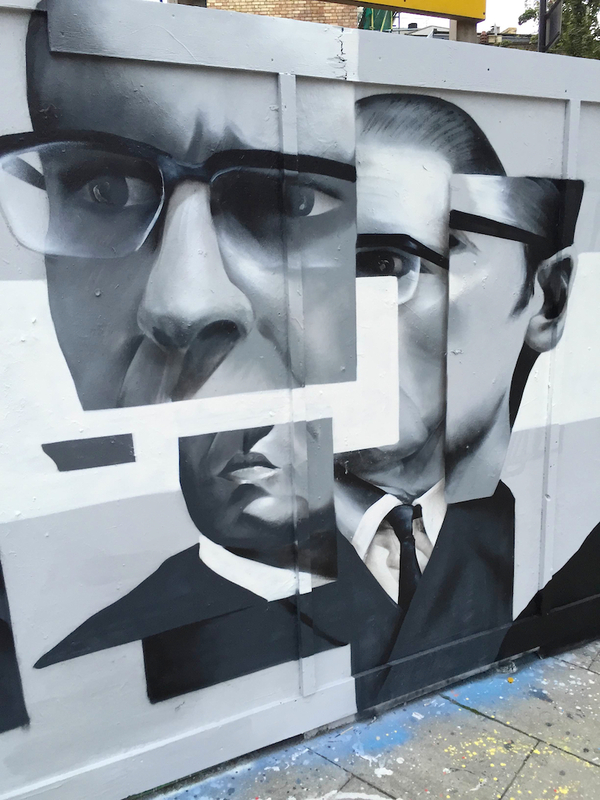 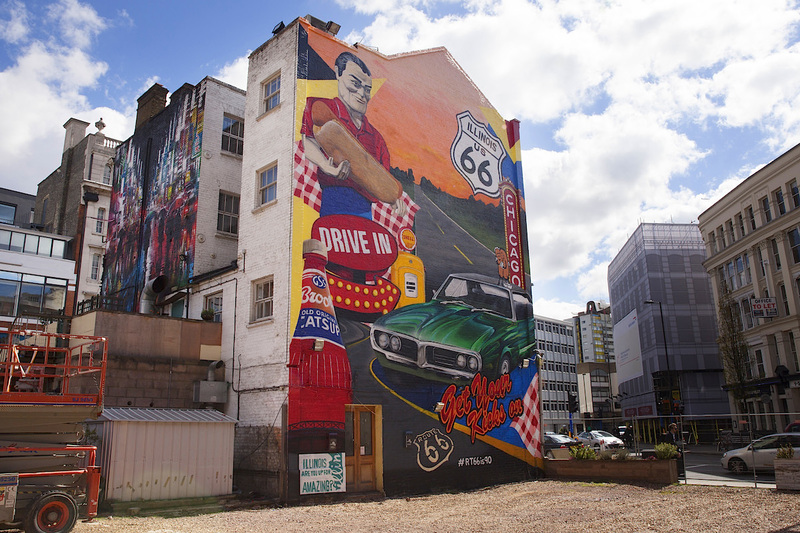 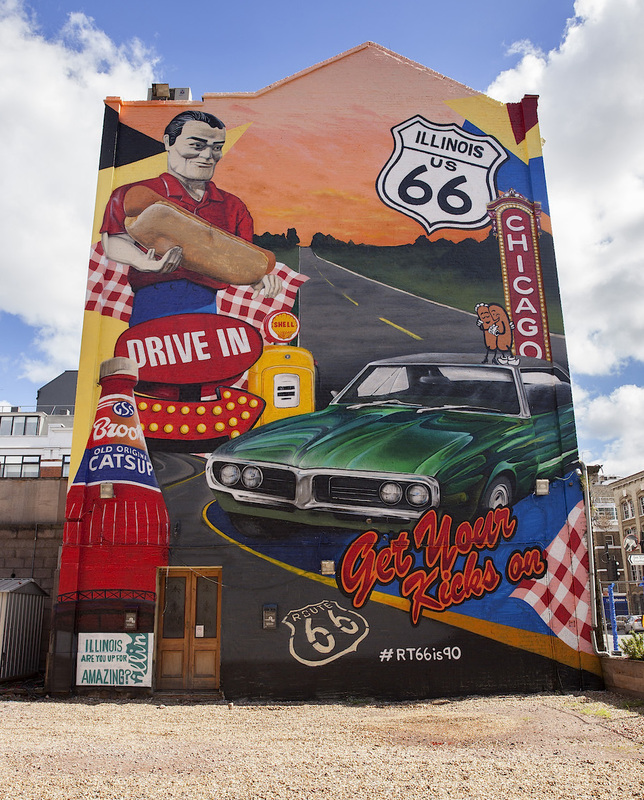 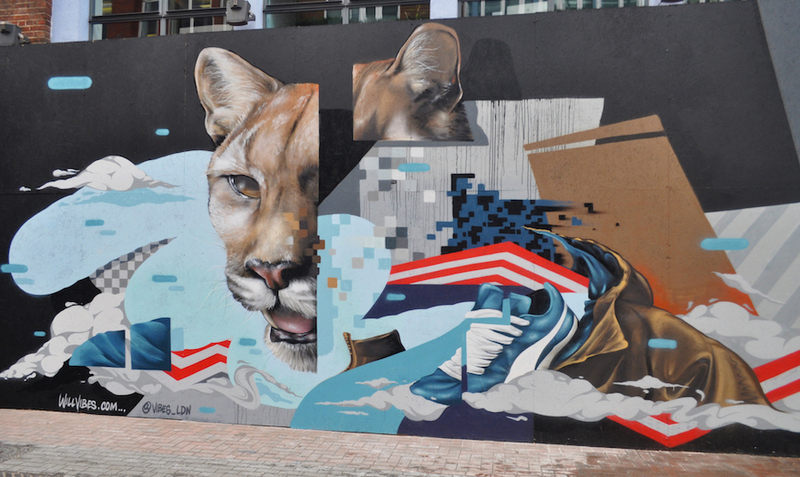 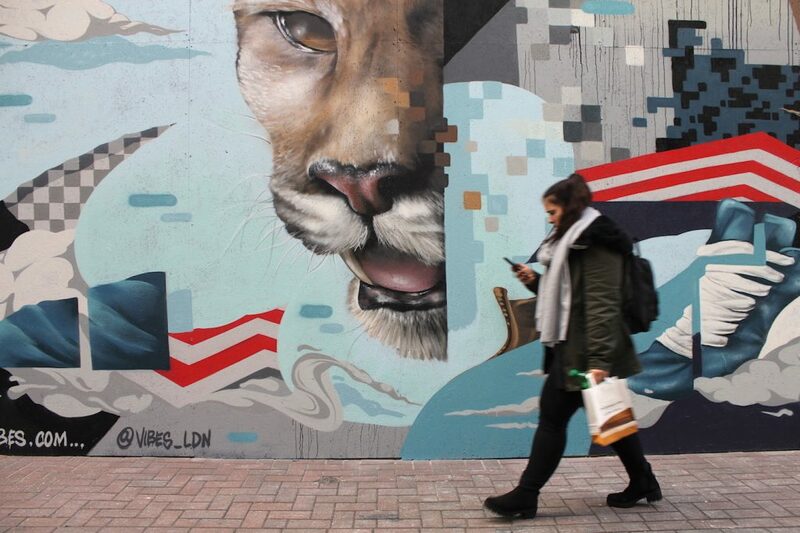 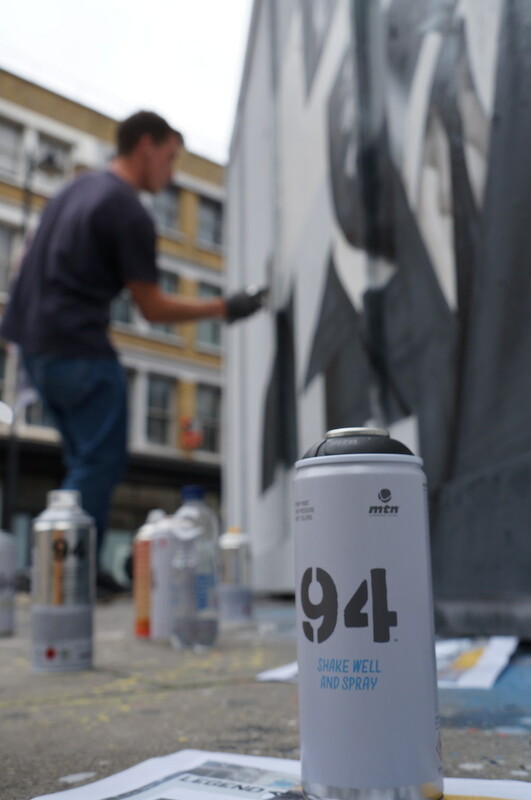 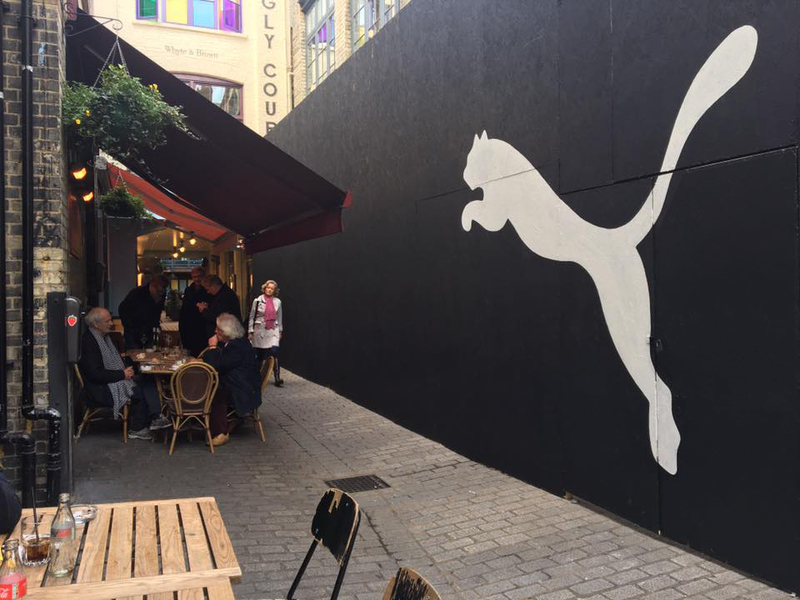 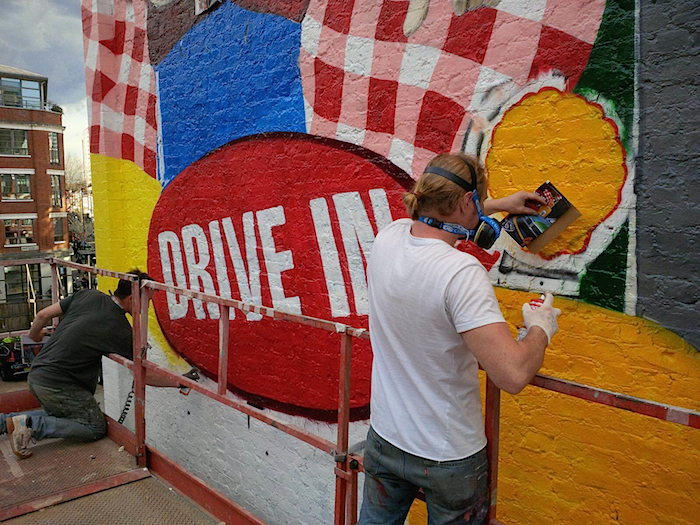 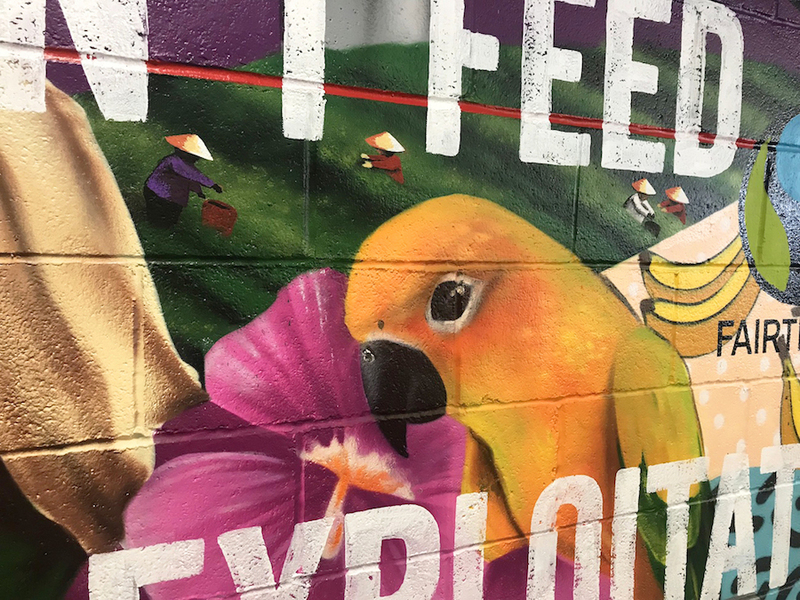 We were approached by Puma to create a 35 metre long piece of temporary artwork on the exterior hoardings whilst the store went through a refurbishment.